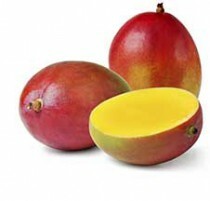 Store and ship mature green mangoes at temperatures of about 13°C. Before ripening begins, the fruit pulp temperatures should be raised to 20 to 22°C. Once the fruit pulp temperature stabilizes, apply 100 ppm ethylene for a minimum of 12 hours. Actual time of exposure to ethylene is determined by the maturity of the fruit; a slight change in fruit color indicates that the mangoes are producing ethylene and the external ethylene source is no longer needed. After ethylene application, keep pulp temperature at 18 to 22°C until desired level of ripeness is attained (typically 5 – 9 days). Then store ripened mangoes at 10 to 13°C in a high humidity environment and ship to final destination soon.